One of the initial projects of the newly established Galiano Club was the building of a “community hall”, a first for the island. Such a structure, named the Galiano Community Hall, thanks to much volunteer labour & donation of materials, was completed by 1927. A visit by the Lieutenant Governor of British Columbia, His Honour Randolph Bruce, in May 1929, provided the occasion for an ‘officially opening’ of the new Hall. For much of the next 50 years, this Hall was THE place for holding island events —- parties & dances, political meetings, wedding receptions, Memorials, club meetings, art shows, theatrical events of all kinds. Though several other large meeting places now exist on Galiano the now historic & quaint Galiano Community Hall continues to be most popular. The Hall has a seating capacity for 100 people and is wheelchair accessible, has a large stage area, professional kitchen facilities. It is also affectionately known as the ‘South End Hall’ in reference to the existence of the North Galiano Community Hall (a converted 1930’s era school house), managed by the North Galiano Community Association. 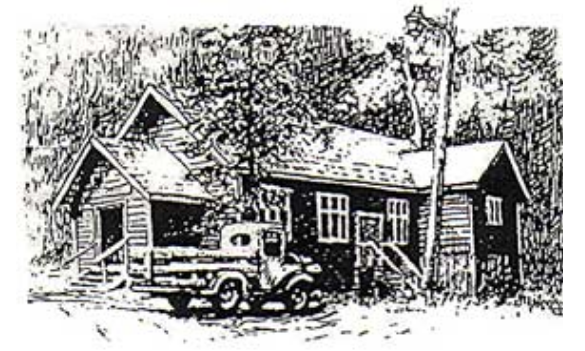 The Community Hall is the building shown in the Galiano Club logo (designed by Galiano artist Keith Holmes). The Galiano Club continues to maintain and manage the hall through an elected Board of Directors. The role of the Hall is currently undergoing a surge of development, with the addition of housing the preschool Playgroup and the Galiano Food Program.